Free Pet Samples by Mail! 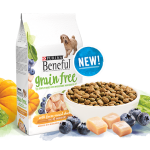 Top Brand Pet Foods, Coupons and More! Who doesn’t like the idea of being able to get something for nothing? Especially when it comes to getting products that your pets need and love the most.Start today by selecting a sample category and checking out all the latest freebies! Also check out our tips section below so you’ll be informed so that you can get the best items without wasting time, money, or getting scammed! Cat Food - One of the most important things that a cat owner can do is make sure that they have the right food for their cat's specific needs. If you're looking for the best food available, then browse our list of free cat food samples. You'll find samples from major brands such as Friskies, Whiskas, Purina, Fancy Feast, Alley Cat, and many others. All of these are proven to be scam-free without long surveys, so go ahead and try these before you buy them! Dog Food - Dogs love to eat, so any opportunity for free dog food is one well worth taking advantage of. In addition to being a nice treat for your dog, it is a good way of showing you the different brands that are out there and what each has to offer. From snacks like Beggin' Strips and Milk-Bones to dry food from Dads and Diamond and canned food from Cesar and Pedigree, there are all sorts of free samples available, and your dog will respond to them with a wagging tail. Make your dog's day by getting some of this tasty food! Pet Products - You consider your pet a valued part of your family, so finding good, reliable products to buy for them is important. Pet tastes can be finicky, so free samples of food options can be a great way of figuring out what your pet likes before committing to full-size bags. Let your dog or cat choose from brands like Friskies, Dads, Meow Mix, Purina and Fancy Feast. You can also keep an eye out for free litter samples, from Tidy Cat to Fresh Step, as well as other types of pet products. Make sure that your pets get the very best!